Use the emotional and timely videos below (2-10 min each) to create short, targeted, constructive dialogues in your setting to move beyond the wall of silence that surrounds issues of race. The heightened interracial tensions in the US often leave us speechless. For many our times can feel like the most polarizing, uncertain era to be alive. Unresolved or vaguely addressed issues of race and inequity are often exacerbated by media platforms promoting discussions of opinions that result in overly simplistic or unproductive expressions. Many of us feel overwhelmed by the complexity of the issues. Yet, there is no alternative to dialogue. Avoiding issues mostly does not heal but escalates them. Dialogue is a tool that can help our communities move together, heal and strengthen. Through dialogue, we can use the differences that threaten to fragment us to instead weave adaptable, strong communities. The resources below aim to support the development of self-awareness, empathy and communication skills. This in turn helps us to take a risk in addressing painful issues of race, class and culture with courage, hope and determination. We encourage you to use the short videos below for short targeted dialogues in your setting. You don’t need to be an expert in race relations to support this process. You simply need the willingness to learn, to be vulnerable and to discover personal blind-spots. You need the commitment to check your own intentions and help create safe spaces in which constructive dialogues on race can unfold. Yes, we may make mistakes when exploring painful issues. But if we are prepared to recognize them, if we are prepared to own them, then they do not have to mark the end of the dialogue. On the contrary, they can become indicators of the thresholds where we start to grow deeper understanding, interconnectedness and forgiveness. Locations: civic centres, educational institutions, companies, churches and homes. Explore the potential empowerment through processing conflicts in the short video below. Discover our videos on ways to strengthen a Culture of Dialogue. Witness the powerful interactions in the video below between Kenya and Tarrah demonstrating ways to process disagreement and conflict constructively, in the video below. Explore the Levels of a Conflict in our video below. Listen in the video below to Maggie Belle sharing elements of her life story and see Kenya’s powerful response. Discover ways to break The Cycle of Violence (video part 2) in the emotional and impactful conflict mediation session on our page Facilitation Skills. Crossing Borders Education sponsors the free distribution of these videos in the light of the heightened interracial tensions in the U.S. These videos form part of our Conflict Mediation Toolkit. 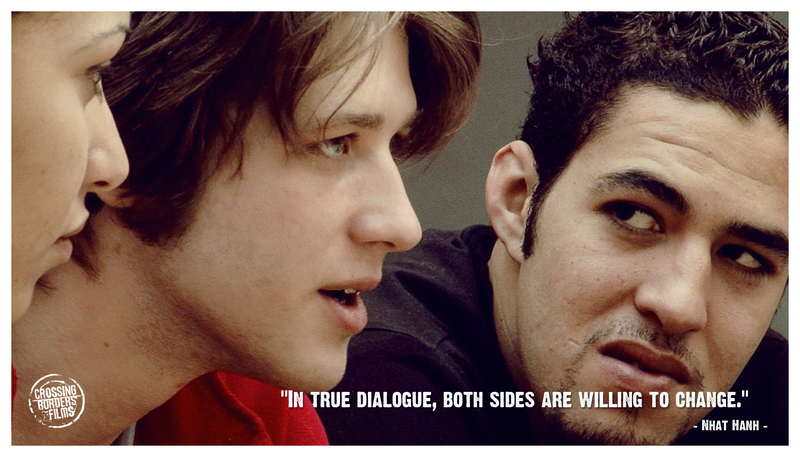 Through our fiscal sponsor, the Peace Development Fund (PDF), a 501(c)(3) public foundation, our supporters are able to make tax-deductible donations in the U.S.
American Textures (78 min) is a feature length documentary film which applies intercultural and conflict mediation skills to interracial dialogue. 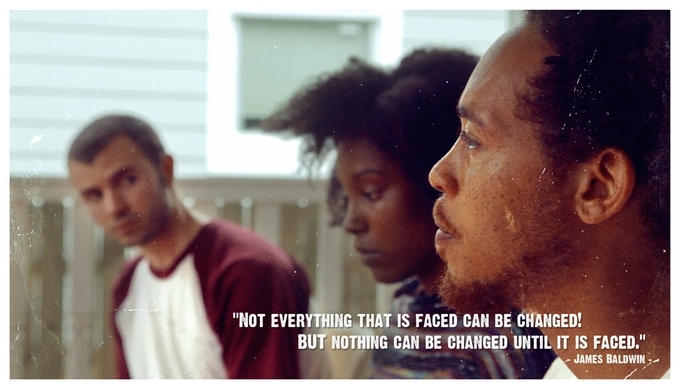 In the film, six young Americans of Black, White and Latino origin on a road trip through diverse communities in the southern United States to confront race through dialogue. Use the emotional and inspiring story of American Textures to initiate constructive dialogue in your community. Sign up to our mailing list to get updates and news from Crossing Borders Education. Please enter your email address above. We will not give your email to third parties and you can unsubscribe at any time.